Welcome back, Donist World Denizens! For those of you new to our site, I’m Donist, and I am joined by Donist World CFO the Reverse Obie* (my friends’ Boston terrier whose fur recently swapped colors) and by our marketing director/administrative assistant/party planner/autumn is coming Tulip (my dog, Reverse Obie’s sister). Anyhow, be kind to each other, mind your health and sanity, eat some tacos, keep your pets safe, cherish the ones you love, hydrate, and read some great comics. Thank you for reading! The list of comic book series that I absolutely love and could never live without just gets bigger and bigger as time goes on. With many, I jumped smack dab into the middle of the fray and had to forage through newsstands and grocery store spinner racks in the hope of finding great comics, which was the only way of reading comics back in the days before the interwebs and comics on demand and the LCS. Other series on my list took a few issues to get into the flow of things or to fall in love with the characters or the world. 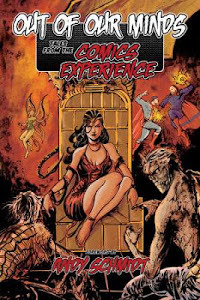 But then, some comic creators deliver a comic that grabs you by the shirt and shakes you to attention with the very first issue—some manage to do so within the first few pages!—and that is what we are here to celebrate today: the truly exceptional first issue. Space Opera? Check. 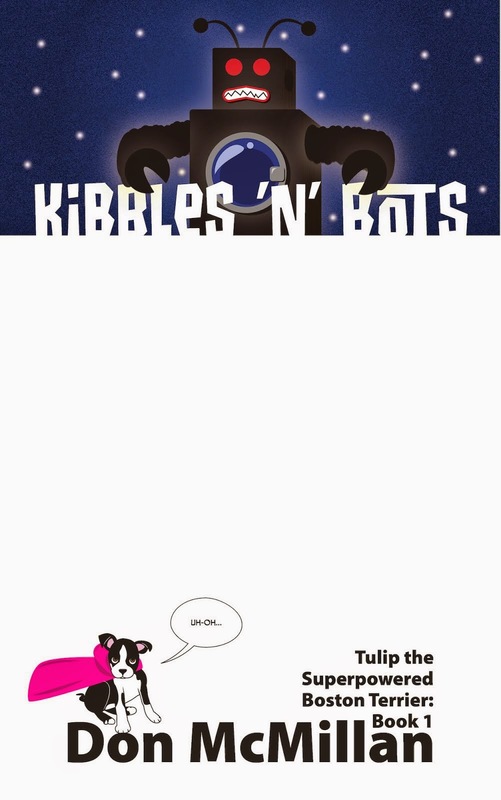 Robots including a robotic dog named Bandit? Check. Watercolored artwork reminiscent of the best comics of the ’80s? Check. Jeff Lemire? Check. 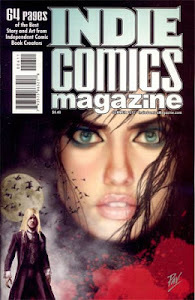 A story so compelling that I reread the first issue immediately after reading it? Check. I could keep going, but Descender had everything I could want from a comic and more, which is why this Donist World Darling has topped my “Year-End Roundup” every year since its debut in 2015. This thrilling emotional roller coaster ride of a sci-fi powerhouse got better and better with each issue, both in story and oh-so-gorgeous art. Descender tells the story of the robot boy TIM-21 who awakens from a ten-year slumber to a universe that had been ravaged by planet-sized robots known as Harvesters. Since that devastating moment, robots have been outlawed and hunted out of fear and for profit, but TIM-21 might hold the key to the Harvesters and their motives. I fell in love with nearly every character in this series and continued to be thrilled by all 32 issues in the first part of the tale. Now, with the second chapter, titled Ascender, set to debut in early 2019 with a massive shift in focus that I will not spoil here, it looks like I have some time to reread all six trades to prepare for that eagerly awaited new first issue. Everyone should be reading this fine comic. I read a comic book about Venom and I not only liked it, I loved it! Don’t get me wrong, I’ve never had anything against the character, I always thought he was fine and all, it’s just that I never had much interest. Enter Donny Cates. I was a little late to the Cates train with first exposure to his work being the mind-bending Atomahawk #0, and then the amazing Ghost Fleet and his fantastic run on Doctor Strange. So, I thought, Why not give Venom a try? I’m so very glad I did. You don’t need to know the character’s long, convoluted history other than he is a superhero/anti-hero who had troubles with Spider-Man in the past and is seeking to redeem himself by doing good in his own way. This horror/thriller/action comic brings in a host of twisted symbiotes as well as a mysterious new threat alongside military intrigue and leaving me with a thought I never expected: When the heck does the next issue arrive? A trade of the monumental first arc—issues #1–6—drops the first week of December. You’re going to want to check this one out. This first issue blew me away. I knew nothing of Russell, who would go on from this critically acclaimed series to the critically acclaimed The Flintstones, and then to the critically acclaimed The Snagglepuss Chronicles. The main difference between Prez and these later works is that Prez only got through the first arc of what was a planned two arc series. Needless to say, I was devastated once I learned that issues 7–12 would never see the light of day. This was in spite of the aforementioned critical acclaim and the devastating events of the then-looming 2016 election to which Prez would have been all too timely and would have provided some much-needed laughter. This series is about the ridiculous combination of harmful politics, corporate interest, and social media leading to a teenage girl becoming President of the US. Russell injects a healthy dose of satire and social commentary on the state of modern politics, economics, classism, corporate influence, healthcare, warfare, and so much more. The first issue had me rolling with laughter as my teeth clenched in anxiety over just how true this futuristic world actually was given the current state of the country. This is only compounded by Caldwell’s joyful illustrations and Lawson’s vibrant colors contrasted against the stark reality underlying Russell’s wickedly sharp commentary. What’s even more brutal is that the amazing six-issue trade included a “sneak peek” of the never-released seventh issue, but don’t let the fact that the series never received the conclusion it so richly deserved dissuade you from checking it out. What we actually did get to see is so very worth the read. In 1944, from the depths of an ominous closet, The Boogeyman kidnaps a young boy into the world of the Dark. Lamenting the loss of their owner and friend, the boy’s toys band together along with his dog Scout to enter the Dark to find him. Along the way, they encounter allies and enemies amongst long-forgotten toys and legitimate dangers aplenty that claim the life of one of their own. Now, this one, Denizens, this one grabbed me on more levels than any book ever has before. Not only do we have the dark, compelling story with jaw-dropping artwork, The Stuff of Legend has a unique square format (8-in. X 8-in. ), a sepia-toned coloring aesthetic, an artificially-aged look, and an overwhelming feeling that you are holding a truly special comic. Four trades have released over the past eight years, with a fifth volume (hopefully) wrapping soon before we enter the final chapter of this haunting-yet-captivating series. 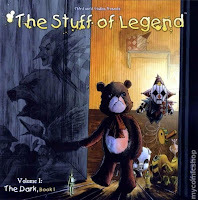 With a handful of issues left until completion, a board game on the horizon, and rumblings of a live-action film, The Stuff of Legend is a grown-up answer to that question we used to ask ourselves as children: What do my toys do when I am not around? I was a HUGE fan of Mark Gruenwald and Bob Hall’s 12-issue limited series The Squadron Supreme, so when I heard that the Marvel Max line was releasing a reimagined and modernized version of Marvel’s favorite DC analogues, I absolutely had to check it out. Supreme Power did not disappoint. This fantastic first issue deals with the question of what happens when a kindly couple finds a baby inside a rocket that has crash landed on their farm. Well, the government arrives, erases the couple, seizes the baby that looks human yet has a markedly different DNA structure, and raises him in secret, with fake parents, and with a steady diet of propaganda and ideals. Then the child’s powers begin to manifest as does his realization that his entire life has been a lie. Heavy stuff, Denizens, and I love every page of this issue as we get a glimpse of other superpowered characters who will slowly appear in subsequent issues. Frank’s art and storytelling add to the drama of this issue and although it is relatively action-free, the escalating tension of the situation makes this issue and the series as a whole incredibly compelling. You can read the three trades of the first 18 issues, and then jump to the tragically unfinished Squadron Supreme: The Pre-War Years that contained seven issues. Dang, Denizens, this whole series just jumped to the top of my reread pile, I can’t wait. That’s it for now, and I’ll see you next week when I pick up with some more great number ones. Oh, and speaking of Gary Frank, Doomsday Clock #7 (written by some up-and-coming guy named Geoff Johns) is freaking great and continues to have me frantic to see what comes next. Be sure to check it out!